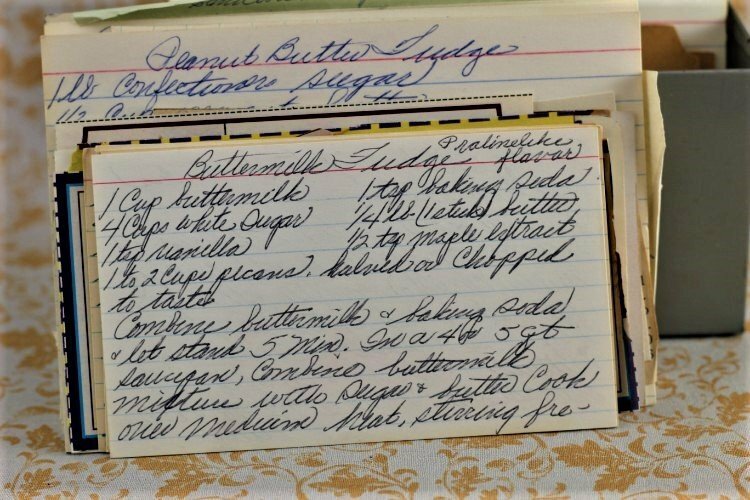 Front of the recipe card for Buttermilk Fudge. 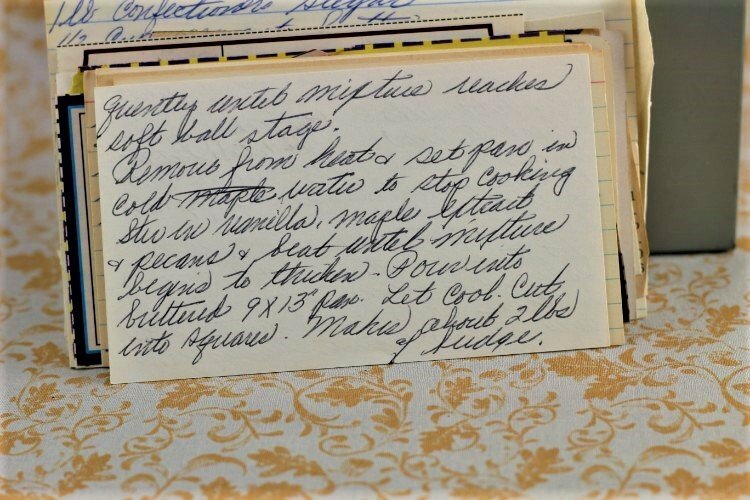 Back of the recipe card for Buttermilk Fudge. 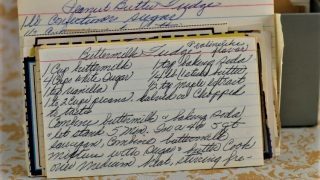 There are lots of fun recipes to read in the box this recipe for Buttermilk Fudge was with. Use the links below to view other recipes similar to this Buttermilk Fudge recipe. If you make this Buttermilk Fudge recipe, please share your photos and comments below! Combine buttermilk & baking soda & let stand 5 min. In a 4 or 5 qt saucepan, combine buttermilk mixture with sugar & butter. Cook over meidum heat, stirring frequently until mixture reaches soft ball stage. Remove from heat & set pan in cold water to stop cooking. Stir in vanilla, maple extract & pecans & beat until mixture begins to thicken. Pour into buttered 9x13" pan. Let cool. Makes about 2 lb of fudge.